Lalbaugcha Raja (Marathi: लालबागचा राजा) is the most famous Sarvajanik Ganapati, kept at Lalbaug, a prominent locality in Mumbai during Ganesh Chaturthi festival. The idol is kept for public display for Eleven days thereafter it is immersed on the auspicious day of Anant Chaturdashi. Lalbaugcha Raja is the popular Ganesh Idol of the Lalbaugcha Raja Sarvajanik Ganeshotsav Mandal. The Mandal, formerly known as Sarvajanik Ganeshotsav Mandal, Lalbaug was founded in 1934 at Lalbaug Market. The Mandal, formerly known as ‘Sarvajanik Ganeshutsav Mandal, Lalbaug’ was founded in 1934, because of a vow (Nav’as) for construction of the present Lalbaug Market at its existing place. The market place at Peru Chawl was shut down in 1932. Hence, the fishermen and vendors who used to sit in the open place vowed to Ganesha for permanent place for their market. With the consistent efforts and support of the then local Councillor-Late Shri. Kuwarji Jethabhai Shah, Dr. V. B. Korgaonkar, Shri. Nakhawa Kokam Mama, Bhausaheb Shinde, Dr. U. A. Rao and the local residents, the landlord Rajabai Tayyabali agreed to give a plot for construction of a market. 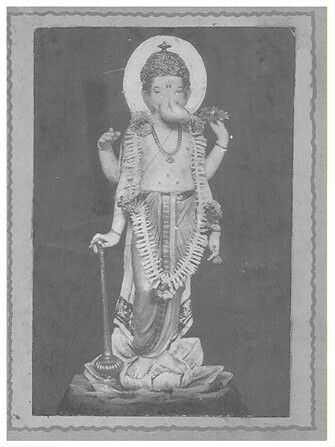 As fulfillment of their wish, the fisherman and the traders established the Ganesh Idol on 12 September 1934. The idol was dressed in the customary fashion of fisherman. Since that day onwards, this idol of Lord Ganesh has become popular as He fulfills the wishes of devotees. The Mandal was formed in the era when the freedom struggle was at its peak. Who carves these beautiful idol’s since ages? The Lalbaugcha Raja Ganesh idol has been sculpted by the Kambli family for over eight decades now. The Kambli family have their workshop in a little lane off the main road in Lalbaug, not very far from where the pandal is located. The father of Ratnakar Kambli, who is the current head of the Kambli family, was a sculptor of idols and would have roaming exhibitions at festivals across Maharashtra. 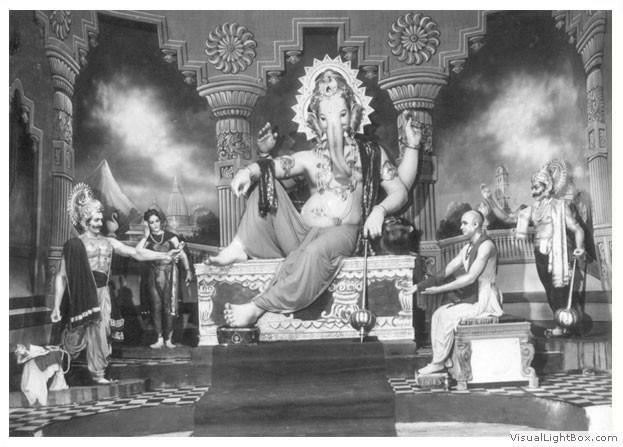 He began sculpting the idol for Lalbaugcha Raja in 1935, when some of his friends recommended his name to the organisers of Lalbaugcha Raja. After his demise in 1952, his eldest son Venkatesh took over, and after his death, Ratnakar Kambli, the current head of the family, started designing the idol. Kambli Arts makes the parts of the Lalbaugcha Raja idol at its workshop and these are then taken to the pandal where they are assembled and painted. Finally, Ratnakar, who is 73 years old, goes to the pandal and draws the eyes the height is 20 ft.